Who is it for? Eau De Lacoste L.12.12 Blanc Eau De Toilette is floral woody cologne for men. Lacoste launched 3 fragrances for men in 2011 inspired by their polo t-shirts. White signifies simplicity, elegance, and freshness. Easily Available in India on Amazon and Lifestyle stores. Hold the bottle 5-7 inches away from your body and spray directly on to pulse points and on the front and the back of the neck for best results. 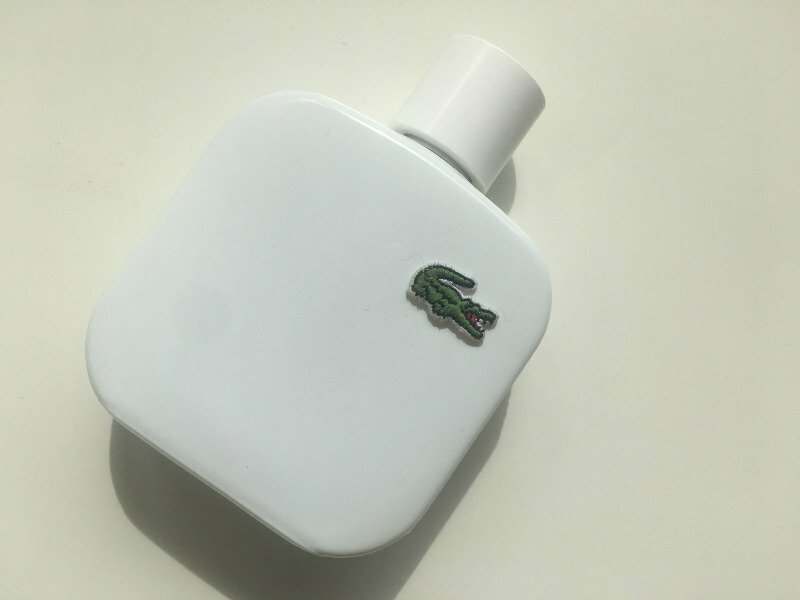 The perfume comes in a white bottle with Lacoste crocodile embroidered on it. A classic Lacoste polo. The packaging is simple and effective. Since it Is EDT, it should last for somewhere around 6 hours. I like this kind of scent on men, not overpowering to give a headache. It has some good floral fragrances but not that girly kind. The mixture of woody and floral is amazing. In starting there is strong grapefruit fragrance but it dies down quickly. I think it’s a good wear on men for casual or for special occasion wear. It has been in production since 2011 and is suitable for all kind of use. Safe everyday option to wear. Yes, I will definitely recommend as a gift to your husband or brother.